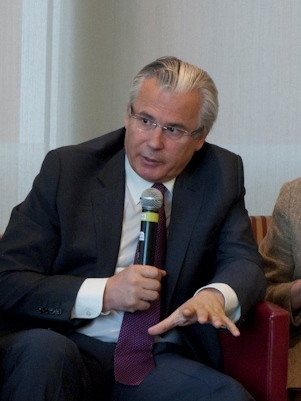 Judge Baltasar Garzón, recipient of the first ALBA/Puffin Human Rights Award earlier this year, will stand trial on January 17 and 24 for two of the three cases pending against him at Spain’s Supreme Court. In both, the principal charge is prevarication, that is, knowingly overstepping judicial boundaries. The January 24 stems from Garzón’s attempt, in October 2008, to initiate a judicial investigation of crimes against humanity committed under the Franco regime. The January 17 case is related to a wiretap order in an investigation of a major corruption scandal involving the conservative Partido Popular–which will rule Spain with an absolute parliamentary majority following its landslide electoral victory a couple of weeks ago. The trial dates are later than expected, given requests from Garzón’s defense team that six of the seven Supreme Court justices who will be judging Garzón recuse themselves from the cases, given their previous involvement in them in a prosecuting or investigative role. Among our extensive previous coverage in the Volunteer, see the editorial on Garzón’s legacy (also in Spanish). See also the Washington Post (via the AP).